The radio shack is more the size of a broom cupboard. 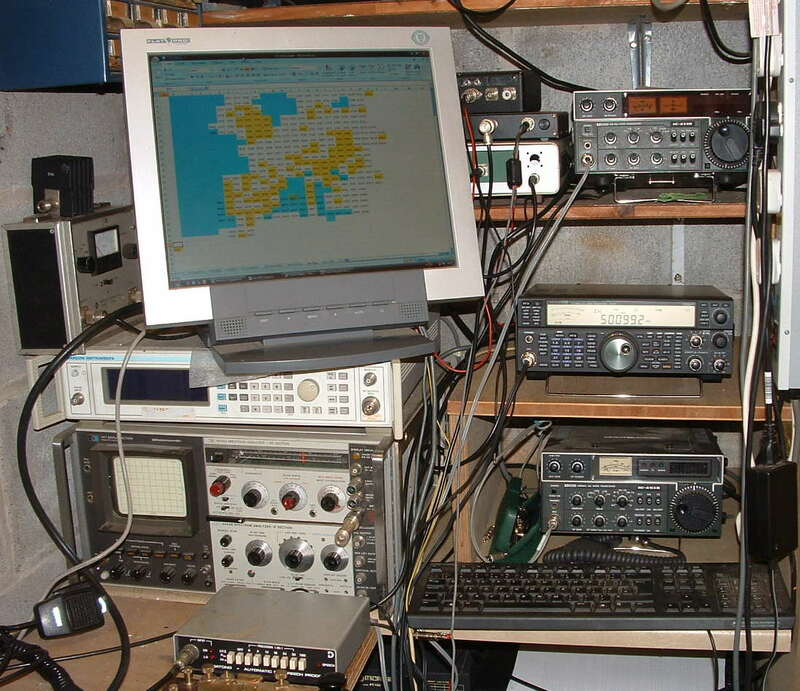 Space is at a premium, so no large valve amplifiers or vintage valve rigs.The main HF station is a secondhand Kenwood TS950 which also provides the drive source for the the 2m Mutek transverter, the home built 4m transverter and the microwave modules UHF transverters. A vintage ICOM IC221 provides back up for 2m and an ICOM IC451 a second source for 70cm.Out of shot is a vintage 2m Microwave modules 100w PA.